The Golden State’s lawmakers are putting in place more laws, which includes the banning of edibles that resemble particular shapes of candy. Just months out from the January 1 date of legal weed in California, the state’s lawmakers are putting in place more laws, which includes the banning of edibles that resemble particular shapes of candy. Would someone think of the children? It’s looking like California companies would be prohibited from selling edibles that are produced in the shape of a person, animal, insect or fruit, under a measure that was given final legislative approval last Thursday, which has been sent to Governor Jerry Brown for consideration. In 2016, Brown said he opposed the legalization of cannabis in California. But he signed a proposal, back in April, which would allow weed companies to apply for multiple licenses to grow, manufacture, distribute, and sell their products. It is the first of many bills in California, which have been sent to Governor Brown for consideration. Assemblyman Rudy Salas, who authored the bill (that is cosponsored by Assemblymen Rob Bonta and Bob Wieckowski), says they are trying to protect children. The Californian lawmakers said, in the past, weed edibles have been made to look like gummy bears and even candy pineapples. With the state planning to begin issuing licenses for the sale of recreational weed – to people 21 and older – in January, state lawmakers have introduced several bills aimed at preventing your favorite herb from being marketed to minors. 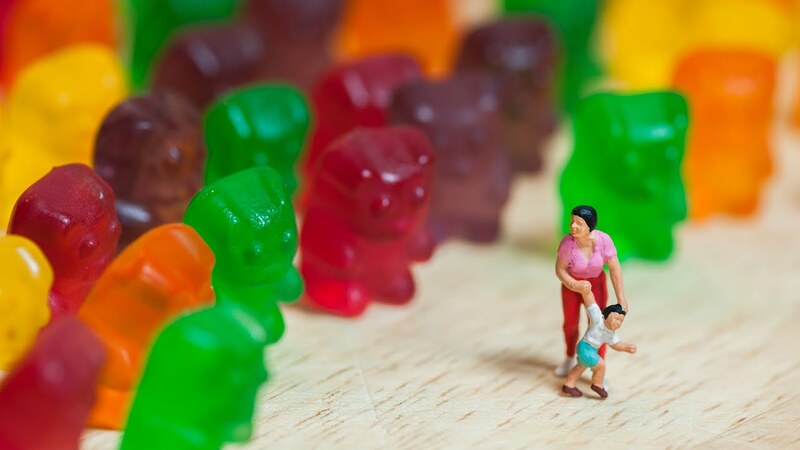 This past April, a group of middle school students in San Diego got sick after a classmate sold them cannabis-laced gummy bears. Then, in August, 19 people fell ill at a Quinceanera party in San Francisco, after consuming edible candies. A study by JAMA – the Journal of the American Medical Association that is a peer-reviewed medical journal – looked at the unintentional exposure to weed among children who were treated at a children’s hospital and regional poison center in Colorado, between 2009 and 2015, the year after it became legal for recreational marijuana to be sold in the state. As reported in the Observer, the findings indicated a five-fold increase in the number of children under the age of 10 who were exposed to cannabis, going from nine cases in 2009 to 47 cases in 2015. The regional poison center saw an average increase of 34 percent, while there was an average increase of 19 percent for the rest of the country. In over half of those cases, edibles were implicated, which included candy, popcorn products, and baked goods.